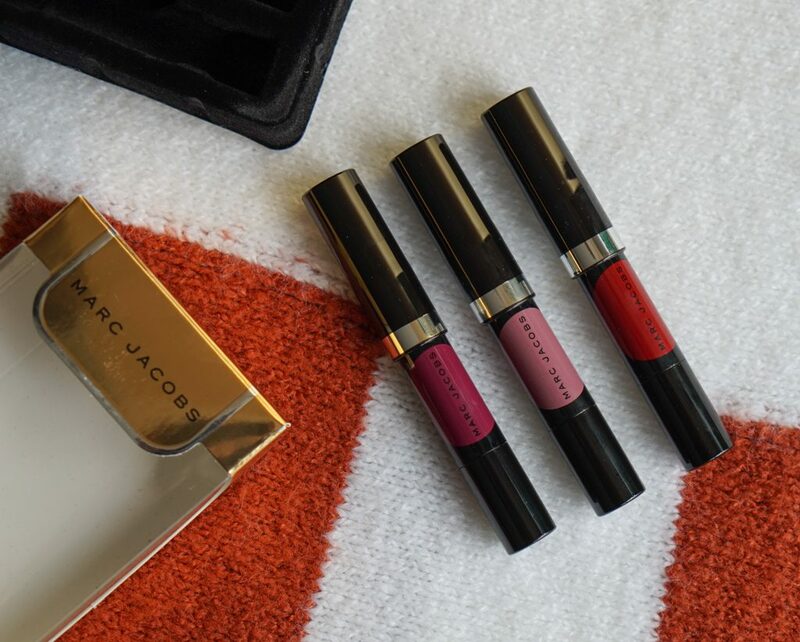 I’m continuing the holiday gift guide reviews with the Marc Jacobs On the Dot Mini Le Marc Lip Crayon Trio. This little set is only $31 which is actually one dollar less than the price of one full size! I know I never finish my lip products so having variety of colors with sample sizes totally works for me. The set comes with two existing shades: Plum N Get It and Nightly Mauves. The red shade called Red-y To Go is exclusive to this set. 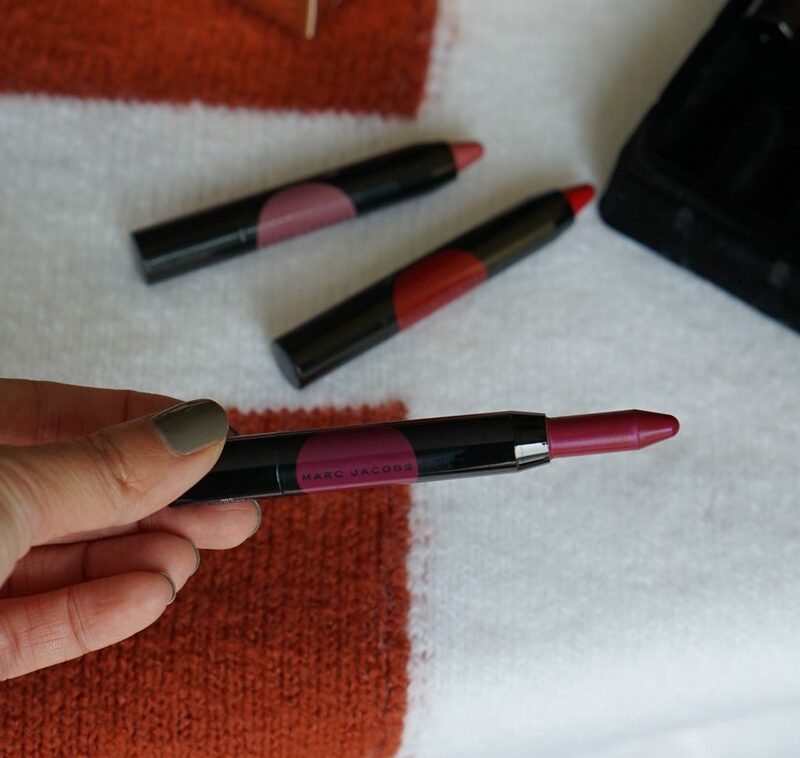 The Le Marc Liquid Lip Crayon comes in 10 shades so if you fall in love with this formula, you can definitely find more shades. 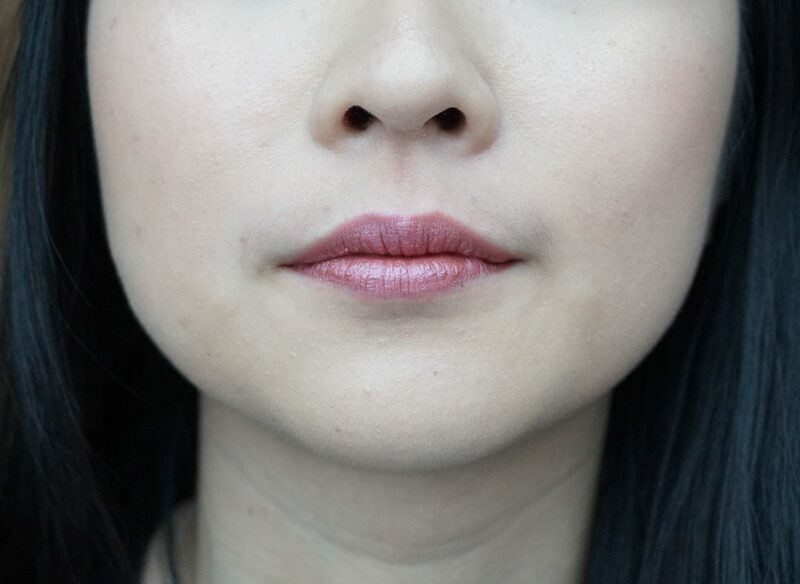 Most of the lip crayons I’ve tried are more sheer in pigmentation. However, these lip crayons are suppose to mimic the pigmentation and staying power of a liquid lipstick! 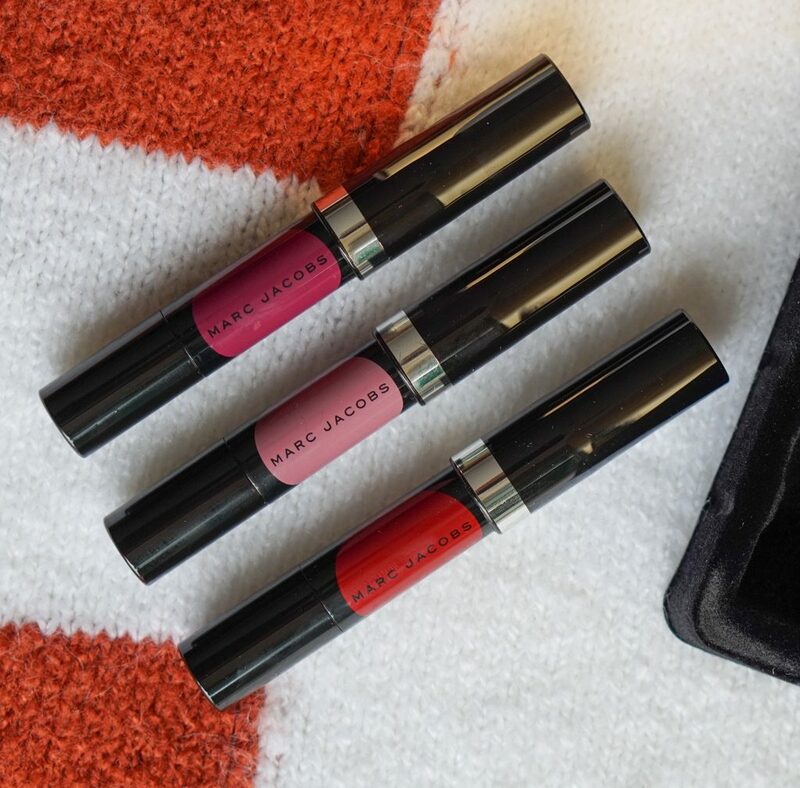 The formula of these lip crayons are fantastic! If you love bold color, you will love this! It is incredibly smooth and applies with very little pressure. In comparison to liquid lipsticks (which I’ve never really gotten into) these do not settle in the lip lines. I was having a really bad flaky lip day though so you’ll see some issues in my swatches. But I was impressed by how it actually smoothed out my flaky skin instead of accentuating it. The lip crayons have a twist up at the bottom so there is no sharpening required. The bullet point tip is good for applying the shades for now but I do wonder how it will be once it becomes more blunt. You might have horror stories about lipstick lids coming off in your purse. It’s funny as these actually have a sticker on the lid to say “snap close”. It’s easy to think that the lid is closed actually but you need to press down a little harder to feel the snap. Each crayon comes with 1.2g of product. I twisted up one of the lip crayons to show you how much there is. If you use it every day, it’ll probably last you about 2 months. 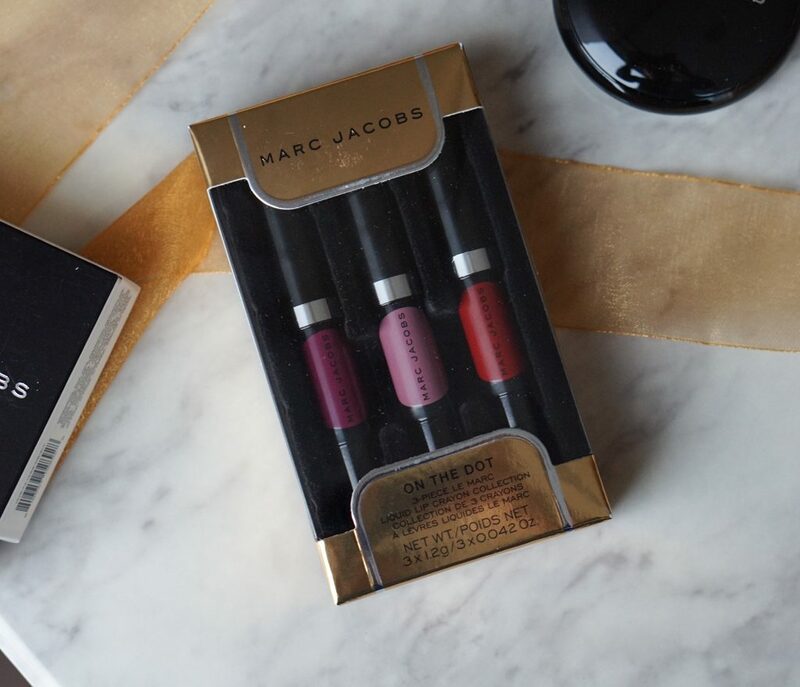 The first shade in the Marc Jacobs On The Dot gift set is Plum N Get it. It’s described as a rich plum but I think it’s got way more of a purple metallic flash. It’s not my favorite shade. 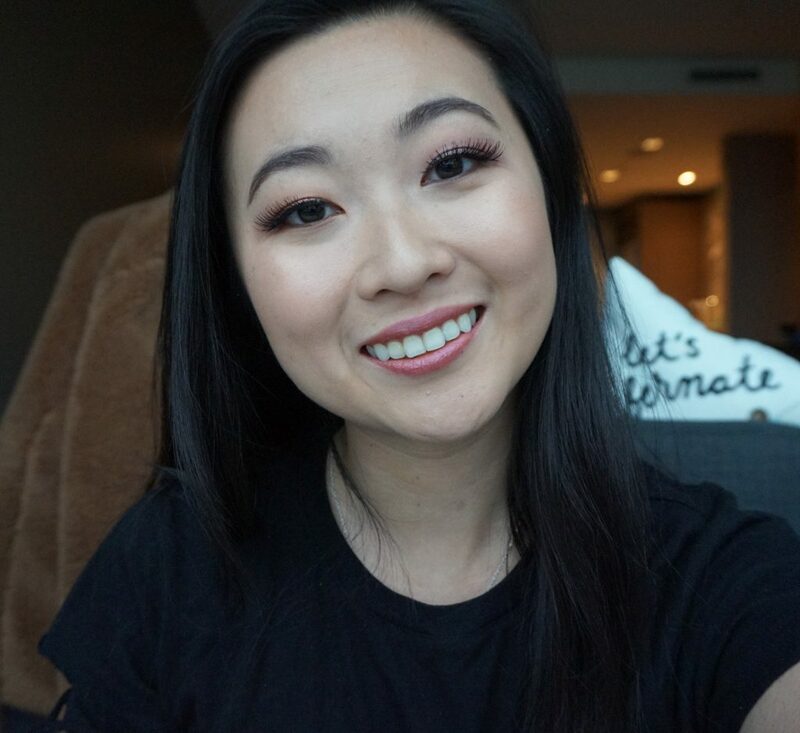 It gives more of a 90’s vibe and I think it can be hard to pair with eyeshadows. For example if I was doing a look with more green or blue tones, I think it would clash with this lip color. Nightly Mauves is a soft pinky mauve and is the most wearable in this set! 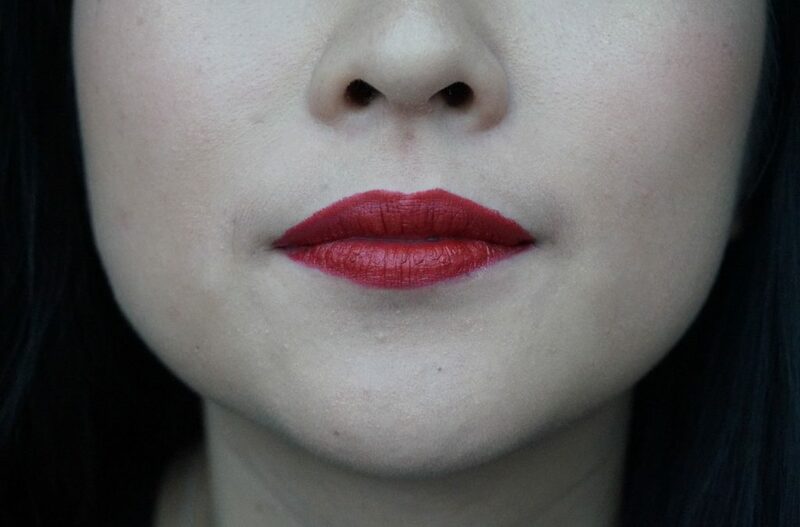 Although the set gets your lips party-ready, I can see myself wearing this shade on an every day basis. 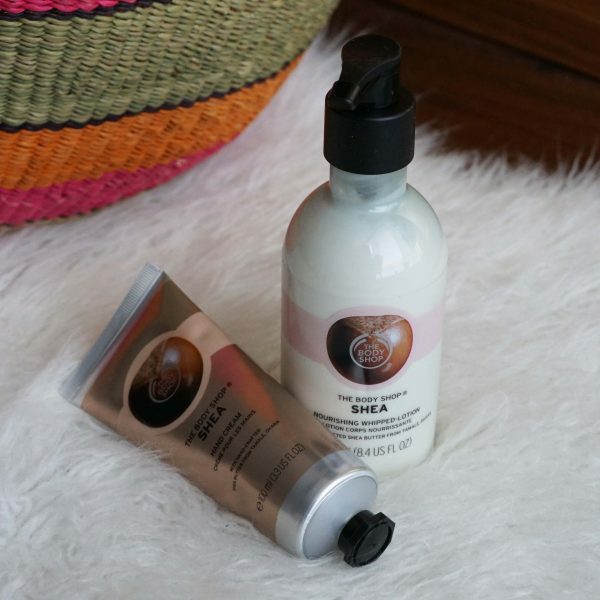 It applies so smoothly so it’s easy to reapply on the go. The color is a gorgeous neutral shade and mimics my lip color on a good day. I like that it’s not the center of attention but completes your makeup look. 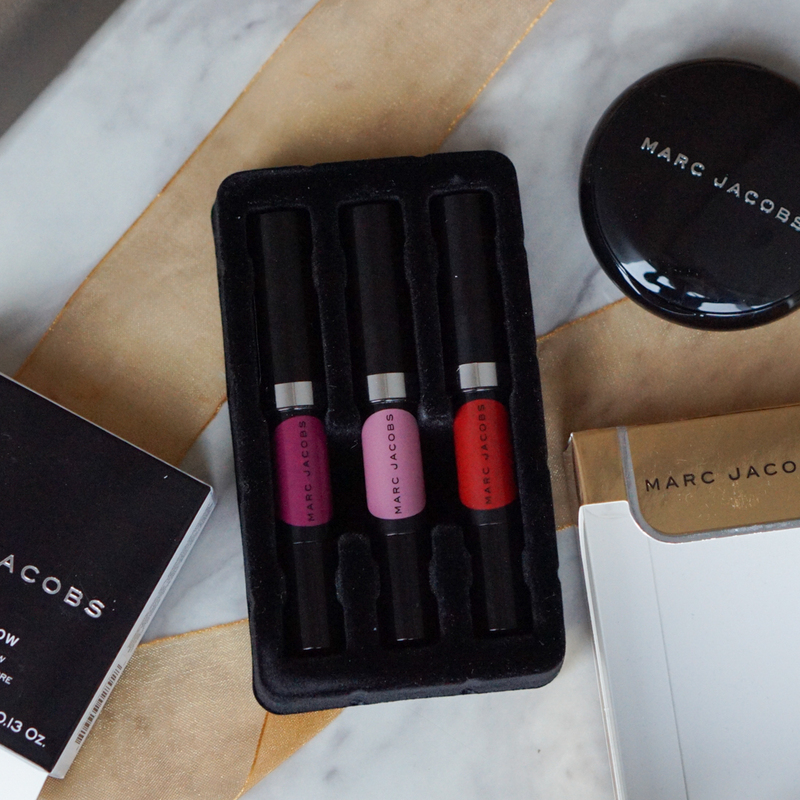 The exclusive shade in this set is Red-y To Go, a deep blue-red. I don’t see the blue come through too much but it is on the cooler side. These shades tend to make your teeth look whiter and is perfect for events. The color is so pigmented and I barely have to put any pressure to get this color pay off. 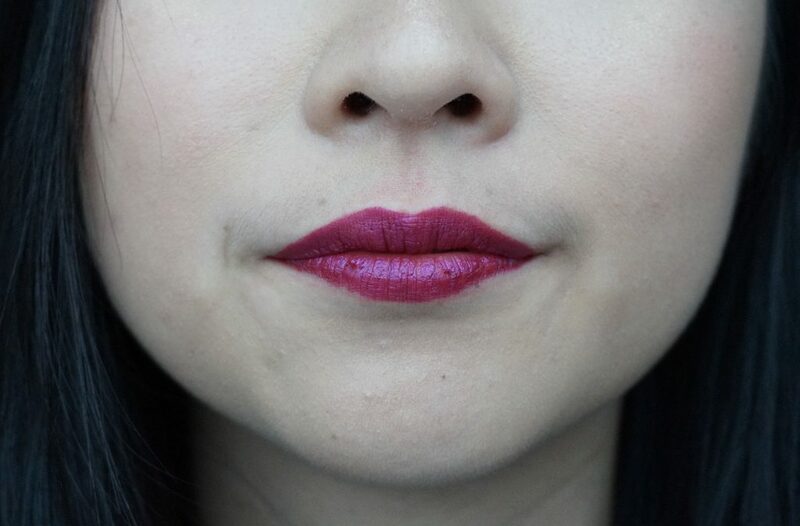 I find with liquid lipsticks, it’s easy to make the color patchy especially if you go over the same areas. 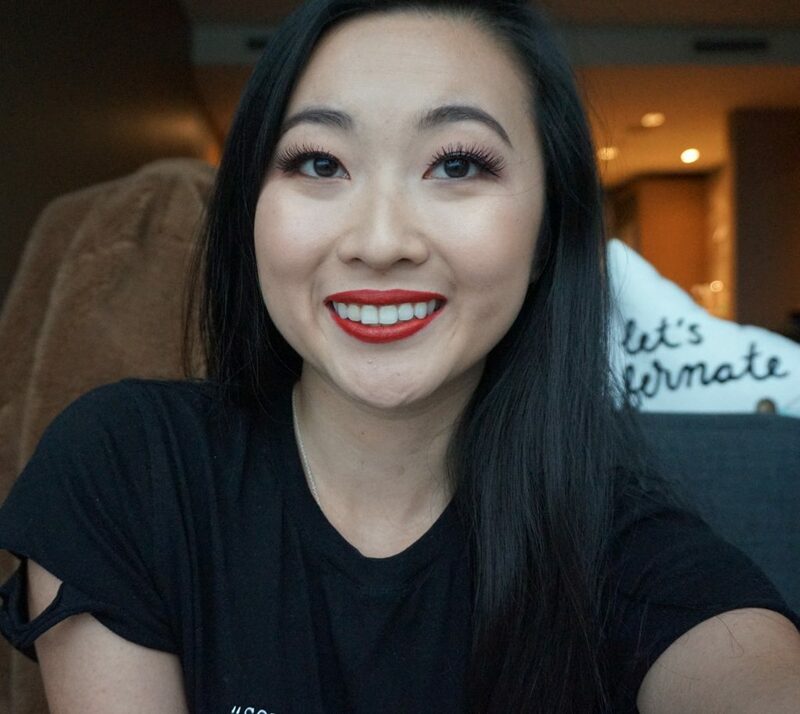 I found this lip crayon to be very smooth and didn’t have any issues with creating an even look. I love that the set contains 3 very different shades so you can have options or push yourself out of your comfort zone. 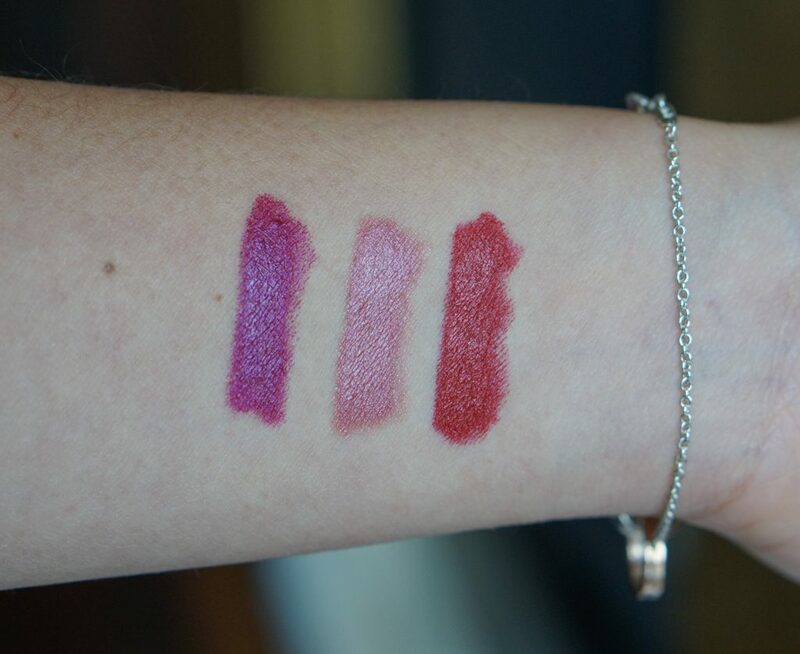 The formula is so creamy and the colors all apply smoothly on the lips! 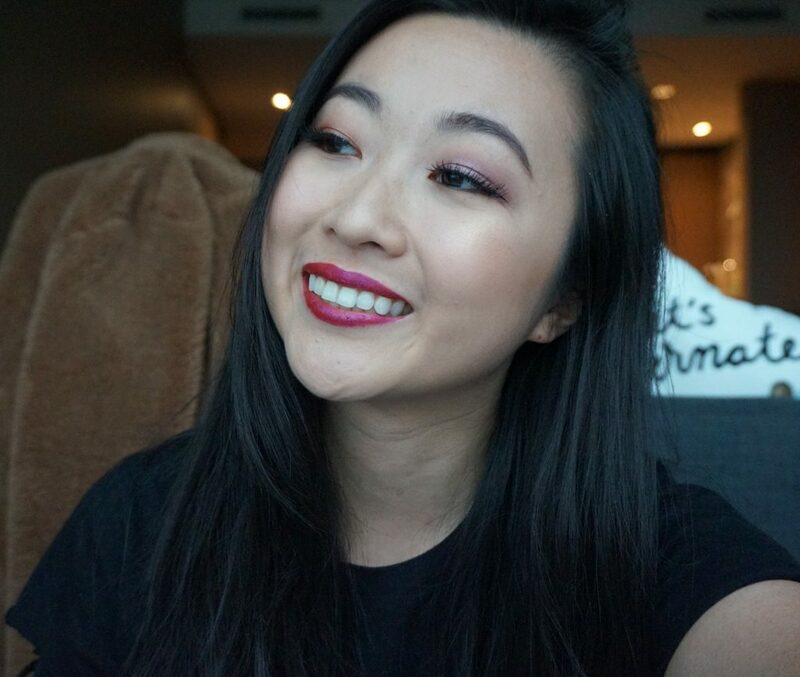 I love Night Mauves for an every look. While, Red-y To Go is beautiful for a party. 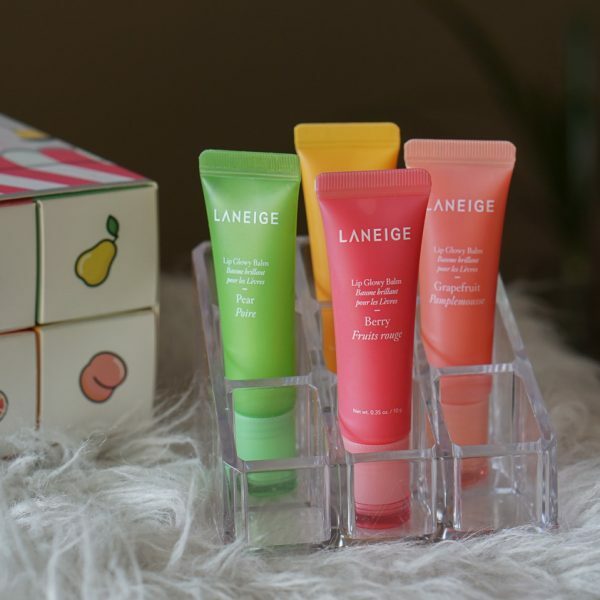 Compared to liquid lipsticks, these feel way more comfortable and smooth on the lips! The staying power is amazing as well. I wore the red color to a dinner the a concert, and still had staining on my lips by the time I got home!